Steak Buttons in Better Homes & Gardens! Tags: "Annie's Blue Ribbon General Store", "Cooking thermometers", "Steak Buttons", "Thermometers for meat"
Hey Summer Grillers! Have you seen June’s Better Homes & Gardens? We are thrilled to have these cool cooking thermometers in there… they are a set of four analog meat thermometers designed for lamb, pork, poultry, and beef. Each button is specifically designed for a different type of meat. Cool, eh? We thought so. Get cooking! Steak Buttons– $20. Tags: "Annie's Blue Ribbon General Store", "The 3/50 Project"
We have written about the 3/50 Project before, but I wanted to make sure everyone remembers how important it is to support independently owned shops. The idea behind this wonderful organization is to choose three independent shops that you would be sad to see close and spend $50 in them each month. Think about what makes these (ours!) stores unique and what would happen if they disappeared (sadly this is happening all across the country). Before you know it, we will be surrounded by Big Box/Chain Stores, stripping us of the local flavor, but also pulling much needed money from our own communities. Read more about this exciting movement on their website- The 3/50 Project and join in now! Shop Independent stores!! Between the Summer Kick Off & all the BBQ’s, take time to remember what Memorial Day is all about: remembering those who have died while serving our country. Honor those living as well, and celebrate the freedom we have because of their service. The American Flag is a symbol of our freedom united together, hang it proudly. Here it is flowing in front of one of my favorite places to visit, and a great inspiration for the shop, Alley’s General Store on Martha’s Vineyard. Enjoy the day! Kick off the summer fun with a new Surprise Ball! Tags: "Annie's Blue Ribbon General Store", "Beach Ball Surprise Ball"
One of our favorite items, our best selling Surprise Balls, got a fun summer upgrade- check out this cool Beach Ball Surprise Ball! These fun personal pinata-like crepe paper wrapped balls are filled with 11+ treats inside. Each layer unwinds more fun surprises. A super fun hostess gift for a summer visit! 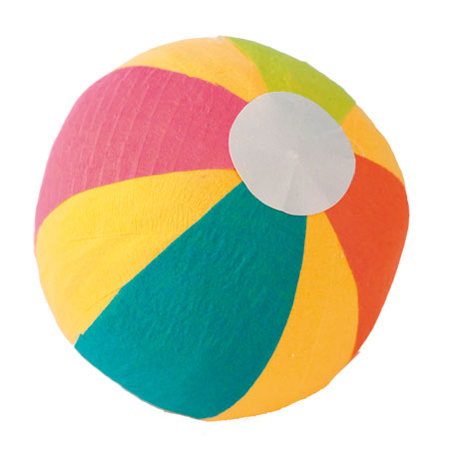 Beach Ball Surprise Ball– $16. Tags: "Annie's Blue Ribbon General Store", "Baby Safe Sunscreen Wipes", "MD Moms"
Oh yeahhh- finally the sun is back out! Yay! Time to load up on the sunscreen! If you have a wriggly babe like mine who doesn’t like sunscreen being applied, try these cool wipes. Created by a team of Doctors/Moms- they have SPF 30 in them, are super convenient and easy to apply. They were recommended by a friend/customer/fellow Mom (apparently they are hard to find so stock up!). 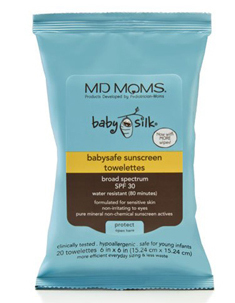 Baby Safe Sunscreen Wipes– $26. Tags: "Annie's Blue Ribbon General Store", "letter pressed cookie"
We’ve been attending the National Stationery Show here in New York this week and found some amazing new stuff! More to come on that, but in the meantime we’re reminded of one of our favorite kitchen items, Letter Pressed Cookie Cutters. Perfect for bakers and type nerds alike, they’re a combination cookie cutter and stamp and include the full alphabet, ampersand, and exclamation point!! Tags: "Annie's Blue Ribbon General Store", "Country Living Magazine", "guest toothbrushes"
We were pretty psyched to find ourselves on the pages of June’s issue of Country Living. They picked our beautiful Guest toothbrushes as the perfect detail for your guest bath. We love them, too: they’re made from sustainable bamboo and bring beauty to an otherwise mundane object. Check out the latest issue of Country Living for even more great design tips and recipes!